■ To activate the on-board computer: turn the SmartKey to position 1 in the ignition lock. ■ To show menu bar 4 : press the= or;button on the steering wheel. 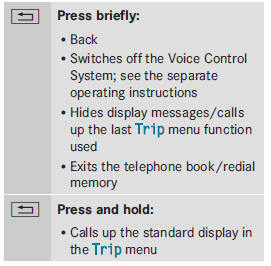 You can set the time using the audio system or COMAND; see the separate operating instructions.